From breaking political news to covering village fairs, mobile journalism – or mojo as we like to call it – is now as an essential skill for journalists. But what is mobile journalism? 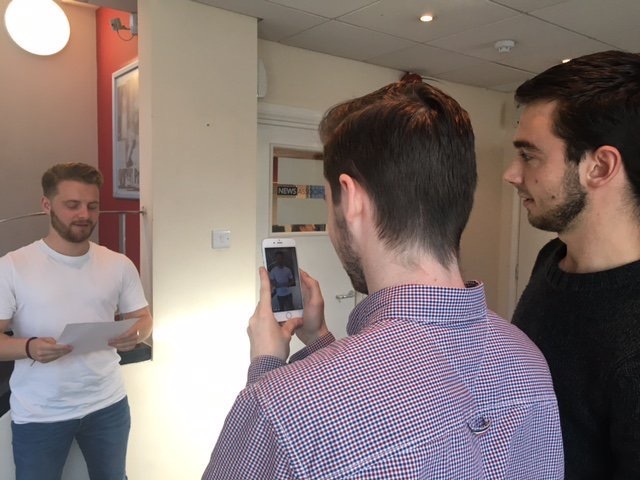 Whether you’re reporting for a local paper or live on Sky News, mobile journalism is now an established way of broadcasting the news. With that in mind, it has never been more important to be a mobile journalist. ‘You all need to be video journalists,’ says @maxinemawhinney. Mobile phones are not only changing the way we consume news, but also the way content is produced. You’ll hear a lot of people call mobile journalism an ‘emerging form of media’ but we disagree. With the rise of decentralised newsrooms, mojo is now established and indispensable. But, what is mobile journalism? Quite simply, mobile journalism is when journalists use portable electronic devices (smart phones and tablets) to gather, edit and distribute news to an audience. News Associates managing editor James Toney said: “The exciting thing about journalism today is the tools we have to tell our stories. “In the past we were quick to apply labels to our industry – we had print media and broadcast media, and online media and social media. But these labels are superfluous – in reality it’s all just media. The old demarcation lines have come down – a journalist today must be able to do everything. “We have more platforms to supply – we must knit words and video and graphics into compelling immersive content that goes far beyond the one dimensional text on a page. We have so many more ways to tell our stories now. We can use data and info graphics, images both moving and still to add depth and context. “And in all of your pockets you’ve got the most powerful tool. You can do so much with a mobile phone. “You can write a story, send a story and publish a story on the content management system of your website. You push your content through social media channels and interact with readers. “You can record an interview and upload it to sound cloud. You can shoot a video, edit a video and broadcast a video. Mobile journalism saves time and money – it is a crucial skill – and soon everyone will be a mobile journalist. Struggling to think of mobile journalism examples? Mr Toney explained: “The other summer – when the refugee crisis was really dominating the headlines – a BBC reporter broadcast from a roadside in eastern Europe using FaceTime and a selfie stick. “No one minded if the camera shook a little and no one minded that the lighting wasn’t perfect, because the content was authentic. “Similarly, when the All Black Sonny Bill Williams gave his medal to a fan in the crowd at the 2015 Rugby World Cup final, he did so in front of scores of cameras who had paid millions for broadcast rights. 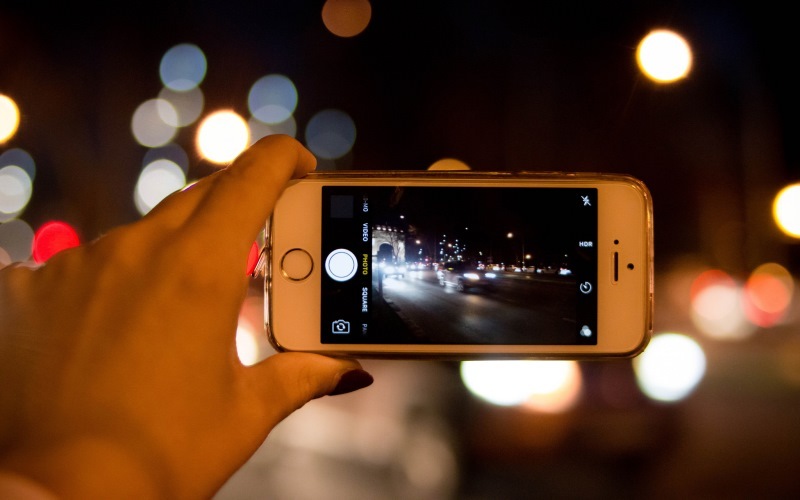 Want to see some mobile journalism examples for yourself? 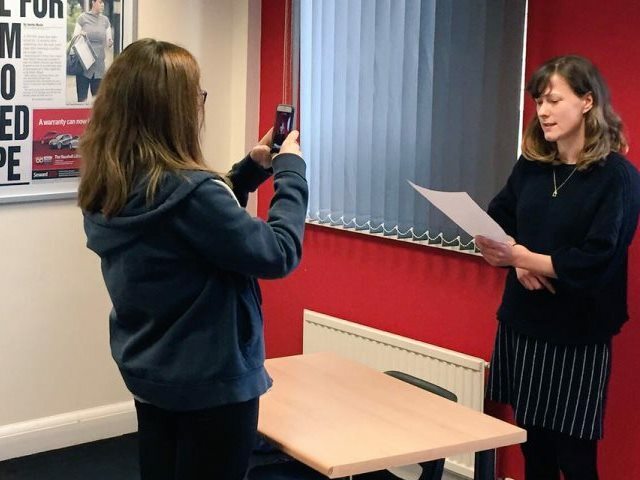 We’ll provide every student on our BA (Hons) Journalism degree with an essential journalism toolkit consisting of an iPad, a national press card and a dictaphone to help you create an unrivalled multimedia portfolio. What are your favourite mobile journalism examples? Share them in the comments. Featured image courtesy of Marco Verch via Flickr, with thanks.